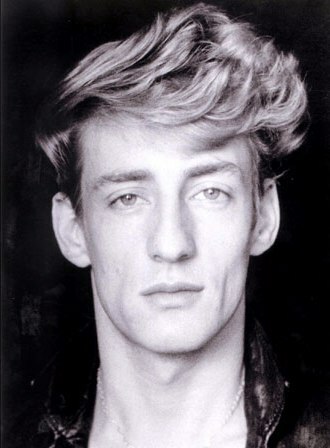 Rory Storm was called ‘the Golden Boy’ and ‘Mr Showmanship.’ Forty plus years after his death, people in Liverpool still talk of him with awe and respect. His real name was Alan Caldwell. 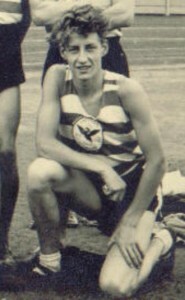 Apart from loving music, he had a passion for sport, particularly athletics. Rory was a consummate artist who believed in ‘the show must go on’ in any circumstance. Examples of his determination to perform despite problems are apparent in the following stories. I discussed Rory with Rod Punt, who was formerly known as Steve Day, the original leader of groups such as Wump & His Werbles and Steve Day & the Drifters. Rory used to get a guitar out and strum it. The next time I saw him was at Butlins and we remembered each other. 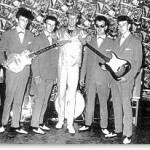 What impressed me about Rory Storm & the Hurricanes was how stylish they were in their smart suits. 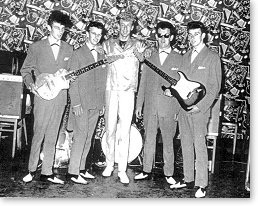 We became very good friends over the years – I even remember the original line-up: Rory Storm, Ty Brian, Lou Walters, Johnny Guitar and Ringo. the Birkdale Hotel. We got to be good mates. 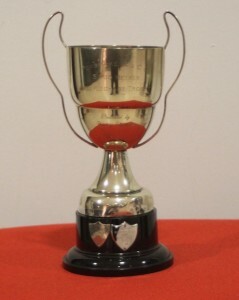 The next day I played football for the Mersey Beat X1 and was a regular after that game. We played the Cavern Kickers. 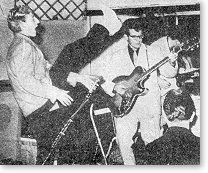 The team at the time was Joey Bowers (Fourmost), Billy Kinsley (Merseybeats), Mike Gregory (Escorts), Vince Earl (Talismen), Ty Hardin (Hurricanes), Lee Baron, Freddie Starr, Shane Fenton, Eddie Amoo (Chants), Rory and myself, Tony Kay and other guest stars. “Rory was not only a good footballer he was a very good runner, swimmer and skater. We went to the ice rink about twice a week. He tried to teach me but I was terrible! He also took me to Melwood to watch Liverpool football team training. He had a big picture in his house of him training with the team. “When I finished playing with my group we often met in the Blue Angel. On the way home, before dropping me off, he would go to the Daily Post & Echo loading bay and get the morning paper right off the press. “He was well liked by everybody, it was funny at times to see him arguing with Freddie Starr as they both stammered and stuttered – but it was all in fun. “His mother and father were lovely people. It was sad when his dad died. I was in Spain at the time and told him that I was very sorry, as I would have come back for the funeral if I’d known. It is interesting to note that Rory had the impediment of a very bad stutter when he spoke, yet was able to sing perfectly on stage without the stutter. My first recollection of Alan Caldwell is of a young man fair haired lad surging past me and several other runners over the last half mile of the Waterloo road Race in November 1956, sing the song “Rock around the Clock” at the top of his voice. It was the late 50s with the emergence of rock and roll and all that went with it. 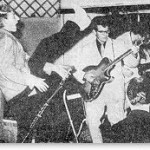 I suppose it was an early indicator of Alan’s inclination towards a “rock and roll” lifestyle he eventually adopted. Later in that 1956/57 Cross Country season I got to know him on the trip to London in February for the National Cross Country Championships at Parliament Hill Fields. Liverpool Harriers, Pembroke, Sefton and Wirral clubs had between them reserved a carriage for their exclusive use on the train from Lime Street to Euston on the Saturday morning of the race and there was a great atmosphere between the members of the clubs on the journey down. Alan Caldwell had brought a guitar with him on the trip although he had no idea how to play it. After the Championship we split into smaller groups and spent the evening in London before catching the midnight train back to Liverpool. I was with a group that included Geoff Warriner of Pembroke and Rod Jones of Wirral and we happened to share the same compartment with Alan Caldwell who was clutching his guitar. In the ensuring conversation he discovered that I could play the guitar, so the journey back home was spent teaching Alan his first cords. Skiffle was also very popular at the time. It was a simple way into playing and singing so the compartment echoed to the sounds “Rock Island Line” and “Bring a little water Sylvie” all the way back to Liverpool. From then I suppose we were pals. I liked the lad and I suppose it was our shared love of music that forged a link between us. I remember he formed a Skiffle group and was allowed to play at one of Pembroke’s club dances at a hall somewhere in Norris Green. It was probably because of his wild and zany behaviour and his stammer that some people regarded him as a figure of fun. I never did! He was just a young man doing something that he was drawn to; although as he realised later on, he was vulnerable. sometime but one summer’s evening while running around the Park a pink Vauxhall Cresta car drew up alongside me and stopped and out stepped Alan! He greeted me with great warmth and we had a good chat; me in my vest and shorts and him in his rock and roll gear and cowboy boots. That was the last time I remember seeing him. 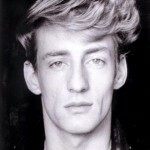 I never did think of him as Rory Storm; he was always Alan Caldwell to me.